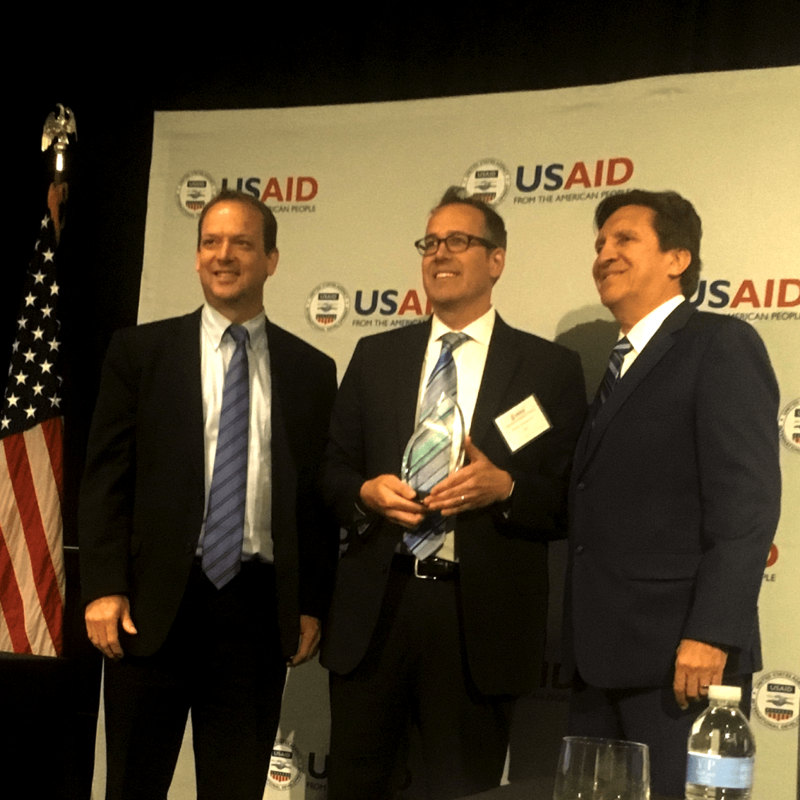 WASHINGTON, DC – LINC, an international development organization dedicated to strengthening local actors and systems, received the FY2017 Small Business of the Year award from the United States Agency for International Development (USAID) at its 11th annual Small Business Conference on July 11, 2018. USAID hosts this annual conference and awards ceremony to celebrate the “expertise, innovation, creativity, and passion that U.S. small businesses bring to its mission to end extreme poverty.” The Small Business of the Year award recognizes the small business that has demonstrated creative, unique, and extraordinary performance as a USAID implementing partner by directly impacting core USAID missions and objectives. LINC was founded in Spring of 2013 by longtime development professionals Patrick Sommerville and Rich Fromer. After participating in donor-funded projects in various sectors around the globe, LINC’s founders began to recognize the need for a more locally-led model for development. LINC’s approach recognizes that local Civil Society Organization (CSO) capacity is an important enabler for locally-led development, but that there are also many other factors required for sustainability of development results, such as donor policies, legal frameworks, support networks, and social norms around philanthropy. To address those factors, the LINC team has developed expertise in systems-thinking to facilitate more effective understanding of constituent communities and practitioner networks, and honed a set of systems-based tools to help illuminate opportunities and pitfalls within programs and organizations. Over the past 5 years, LINC has worked in over 15 countries and collaborated with a wide array of businesses and organizations to implement this pioneering model of development. For more information on USAID’s 2017 Small Business of the Year, visit LINC’s website at www.linclocal.org.